At Walking Mountains Science Center's event, Pemba Sherpa will captivate the audience with life at 17,000 feet above the sea, while explaining the Sherpa culture, tradition and place in the field of mountaineering. What: The Science Behind High Altitude Guiding. When: 6:30 to 8:30 p.m. Thursday, Feb. 9. Cost: Free, $5 donation suggested. More information: Space is limited; visit www.walkingmountains.org/sb to register. AVON — As our tremendous world becomes increasingly accessible, the span of human exploration continues to grow. What were once perilous, remote and unattainable destinations to all but a few are now more accessible than ever before. These journeys bring people to new countries and unknown cultures, often at elevations much higher than those of home. Completing a mission, such as summiting a mountain, is an arduous expedition that requires the planning and expertise of many individuals. The call to travel in extreme environments to gain life-changing experiences and endure formative trials and tribulations is one that can be answered by experienced guides. The science of high-altitude travel and guiding is multifaceted and interdisciplinary and should not be taken lightly. Today, from 6:30 to 8:30 p.m., Walking Mountains Science Center and Pemba Sherpa, of the Sherpa Foundation, will present an evening looking deeper into the science of our bodies, minds and spirits at extreme altitudes. The discussion will include the physiology of human lungs, brains and blood and how we adapt to changes in elevation. Pemba Sherpa will captivate the audience with life at 17,000 feet above sea-level, while explaining the Sherpa culture, tradition and place in the field of mountaineering. Participants will learn what factors set Sherpas apart from other high-mountain explorers and discover the rich history of Pemba Sherpa’s upbringing that inspired him to give back to his community. 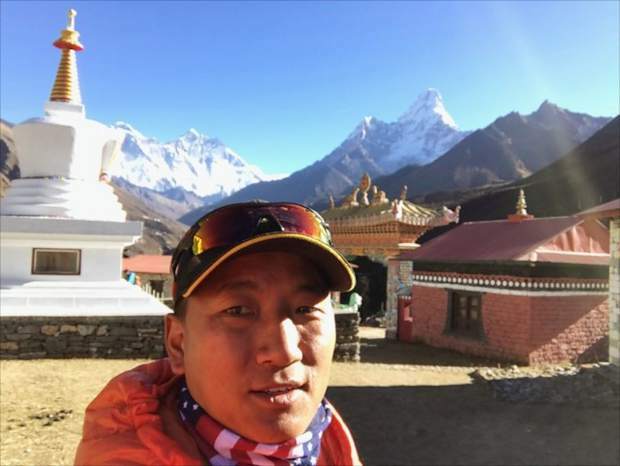 Pemba Sherpa was born and raised in the Mount Everest region of Nepal and has been involved with guiding since he was 10 years old, when he became a porter. Now a resident and owner of Sherpa Painting, he is still a trek and tour guide in Nepal. He began the Sherpa Foundation to rebuild homes devastated by the 2015 earthquakes and to support community development in the mountain communities of Nepal. He was the recipient of Nepal’s equivalent of the Medal of Honor for his charitable work.